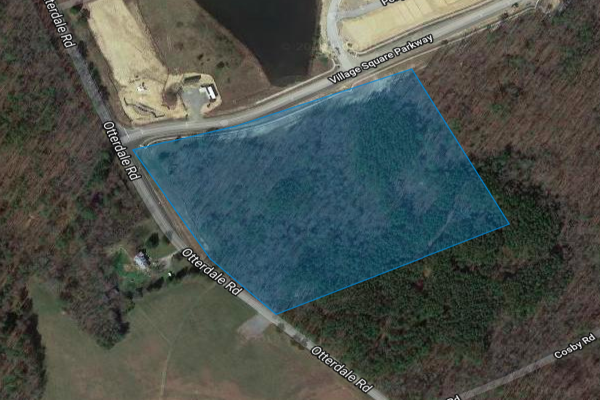 This nearly 15-acre site is slated for a 305-unit apartment development called Cosby Village Apartments in Chesterfield County. A recent wave of new apartments in Chesterfield County continues to push farther west, as a new-to-market multifamily developer is looking to get in on the action. Alabama-based Liv Development has filed plans with the county’s planning department to construct a 305-unit apartment complex near the intersection of Cosby and Otterdale roads, in Chesterfield’s Woodlake area. 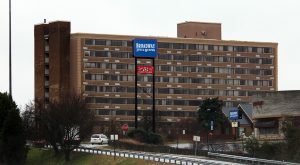 The project would be Liv Development’s first in Chesterfield and in Virginia. 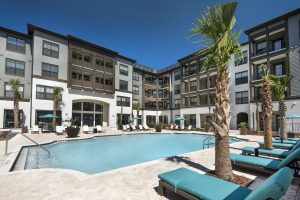 The firm, based in Birmingham, has constructed apartment communities in several metros in the Carolinas, Tennessee, Georgia, Alabama and Texas. Liv Development did not return a call for comment Wednesday afternoon. Coined Cosby Village Apartments, the project would consist of seven four-story buildings wrapped around a 479-space surface parking lot, according to a site plan filed with the county Sept. 4. The nearly 15-acre development also would include onsite garage parking for residents, a trash compactor, and a pool and community area. 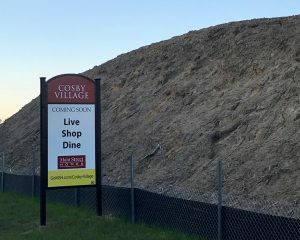 The apartments would tie into the future Publix-anchored Cosby Village Shopping Center, a retail development directly south of the apartment project, via sidewalks and a single driveway in and out of the development. A section of townhomes by Midlothian-based Main Street Homes also is planned to round out the overall development. The 15-acre parcel slated for the apartments is owned by a business entity tied to Main Street Homes. 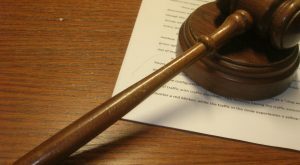 The firm could not be reached for comment Wednesday afternoon about whether the property is under contract with Liv Development. The site most recently was assessed by the county for about $520,000. County planners are reviewing Main Street Homes’ request to construct 236 townhomes on about 41 acres between Cosby Road and Village Square Parkway, next door to the apartment site. County planning staff is vetting the apartment project. The county’s planning commission is set to make a recommendation on a request from Liv Development for a buffer reduction along Village Square Parkway at its Oct. 16 meeting. If its request for smaller buffers is not recommended by staff and the planning commission, Dopp said Liv Development would have to submit a new round of site plans. 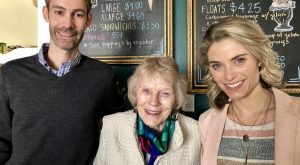 Cosby Village Apartments adds to a growing collection of apartment developments planned west of Route 288 — an area of the county seeing increased residential and commercial activity. Guy Blundon of CMB Development is planning a $30 million, 240-unit apartment community on 11 acres at 5411 Commonwealth Centre Parkway near the parkway’s interchange with 288. 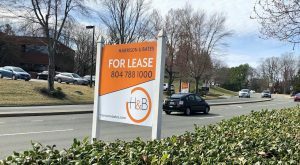 Richmond-based Rebkee Co. is planning up to 250 apartments at 15800 City View Drive near the Westchester Commons shopping center. Castle Development Partners is set to start this year on a planned 18-acre, 450-unit apartment project that will anchor part of Watkins Centre – a nearly 285-acre mixed-use development next door to Westchester Commons. And Westchester Development Partners, made up of Chesterfield developers Phil Roper and George Emerson, is breaking ground on two buildings totaling 236 apartments on a 5-acre parcel overlooking 288 at the northeastern edge of Westchester Commons. 1 Comment on "Alabama firm eyes 300 apartments in Chesterfield"